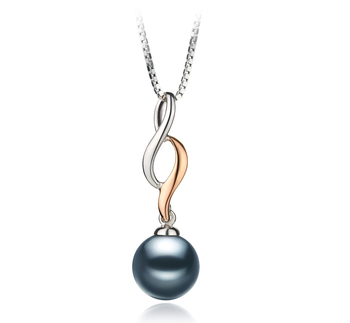 Dimensional in craftsmanship, the .925 Sterling Silver pendant features the bold and striking lines that wrap in a wide twisting fashion and feature both the sterling silver and a gold tone colouring. 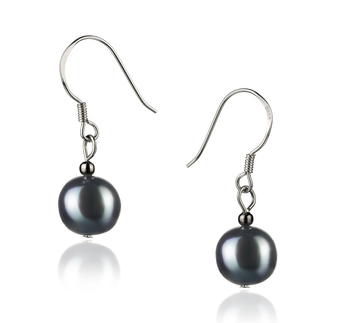 The result is a magnificent contrast that blends so perfectly and gently plays off the shimmering lustre of the Black Japanese Akoya pearl. 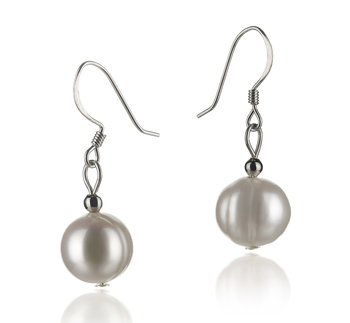 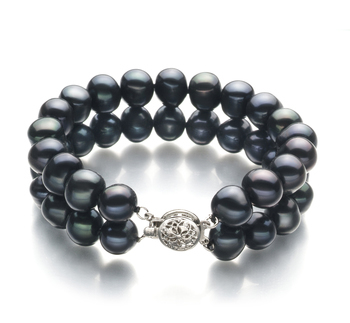 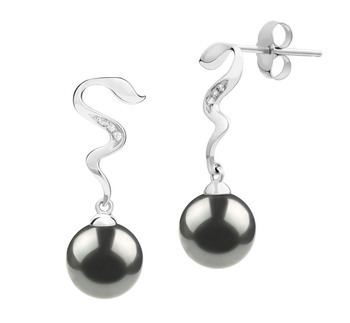 The out of round (AA) shape of the 8-9mm Black Japanese Akoya Pearl is often times a unique character of the pearl when combined with the sparkling sterling silver and the AAA lustre of the black pearl’s own surface. 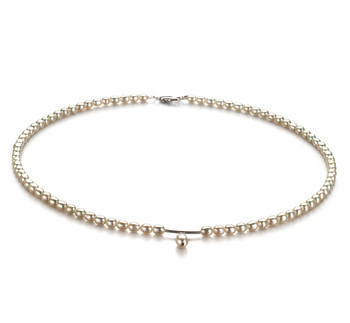 The sparkling array of the dazzling shine encompasses the pearl in a shimmering and delightful sheen that is even more radiant than the sterling silver itself. 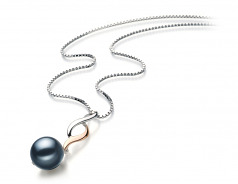 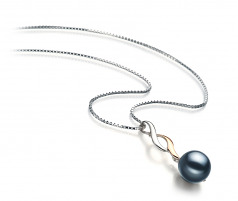 The Black Japanese Akoya Pearl and Sterling Silver Pendant make a great accessory for any casual to formal line of clothing. 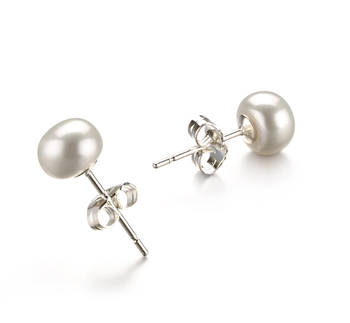 Try out your hand in experimenting with a variety of different wardrobe options.